Marinate salmon in KNORR Japanese Teriyaki Sauce GF. Cook noodles following packet directions. Cool. Combine cucumber, radish, mint, coriander, basil and sesame oil together. 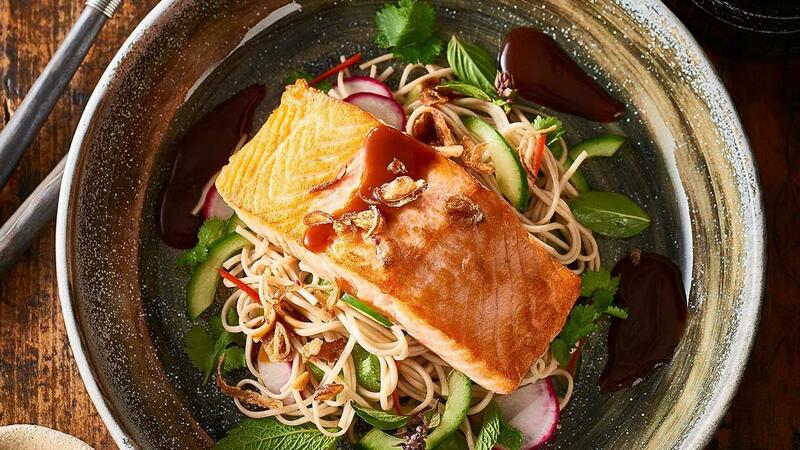 Place noodle salad in serving bowl, top with salmon, pour over extra KNORR Sakims Teriyaki Sauce.